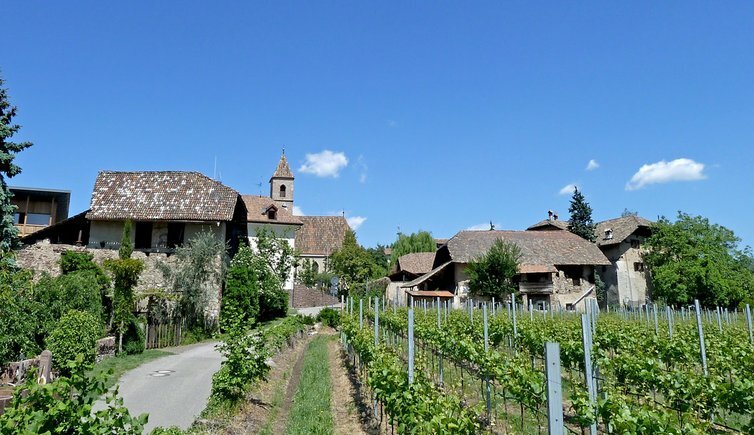 Not only due to the lakes, Monticolo is a really interesting spot of land. Monticolo is a little village located at a forest glade and is mainly composed of farmsteads. 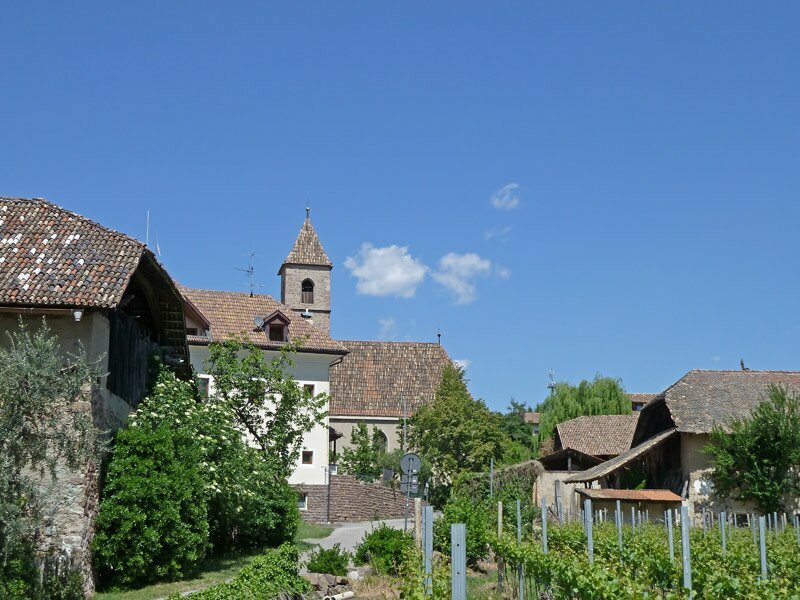 The church is dedicated to the Three Wise Men and decorates the village centre of Monticolo. Lilke almost every village of South Tyrol, also Monticolo has its own fire brigade in order to guarantee the safety of inhabitants and guests. The village is embedded into fruit orchards and vineyards. 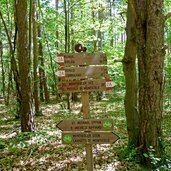 The forest of Monticolo is an important protected nature reserve and recreation area. 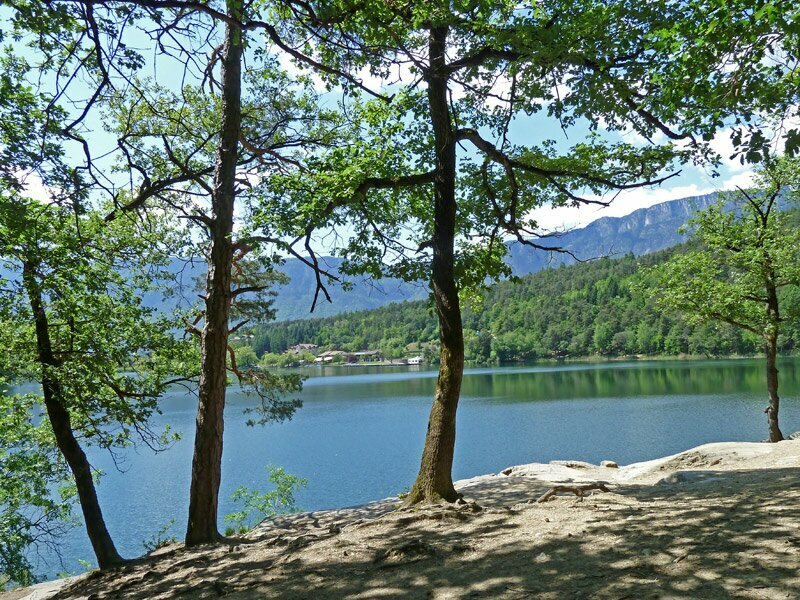 In the middle of the forest, there is the natural gem of the lake of Monticolo. The large lake of Monticolo is much more famous and attracts a large number of guests in summertime. 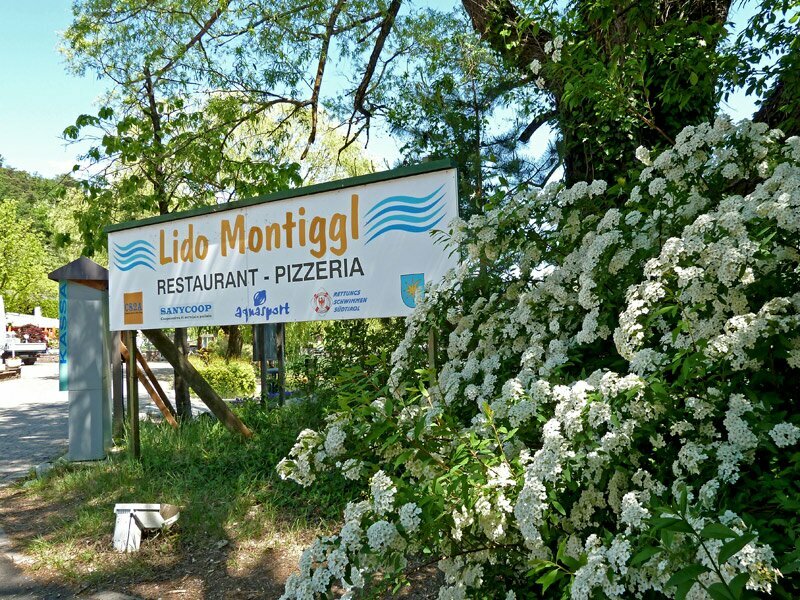 The lido of Monticolo provides the facilities for bathing. 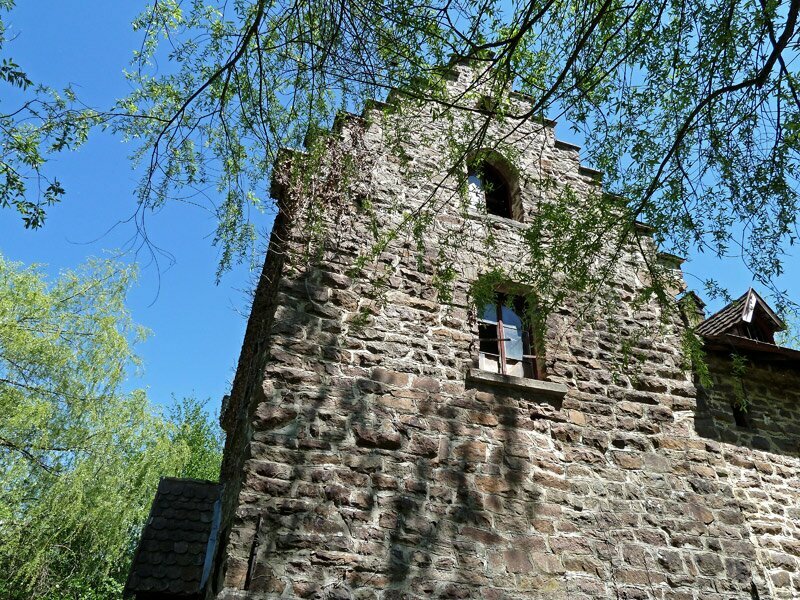 At the southern lakeside, there is a romantic castle-like building called Seeschloessl. 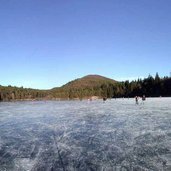 See panorama View on the frozen Lake Monticolo, which in winter usually transforms into an ice skating ground. The Small and the Big Lake of Monticolo are situated in Appiano, in a biotope where numerous animal and plant species live. 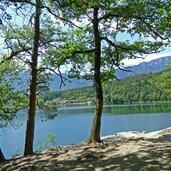 Visitors can explore the area around the Lakes of Monticolo on many hiking paths or take a swim in the lakes. At the Lakes of Monticolo plenty of fun and action can be experienced. The lakes have very good water quality and invite to jump in. 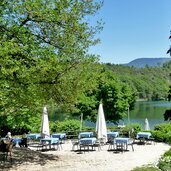 The big Monticolo Lake offers a busy lido whereas the small lake is more quiet and accessible through some small beaches. Or you prefer the romantic rocks for sunbathing. Come with us on a trip to a fantastic South Tyrolean nature paradise. Idyll, a magical forest and the sparkling surfaces of the two lakes of Monticolo – by mountain bike we have travelled on the winding forest trails round the two lakes and through the wood and even reached the centre of the Earth – the locals of Appiano possess a big fantasy and what’s more - a very likeable nature. 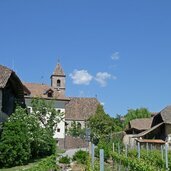 The idyllic village of Monticolo is located in the heart of a forest, vineyards and fruit orchards seem like a little nest among the trees. About 100 people live in this area and slightly outside the centre. 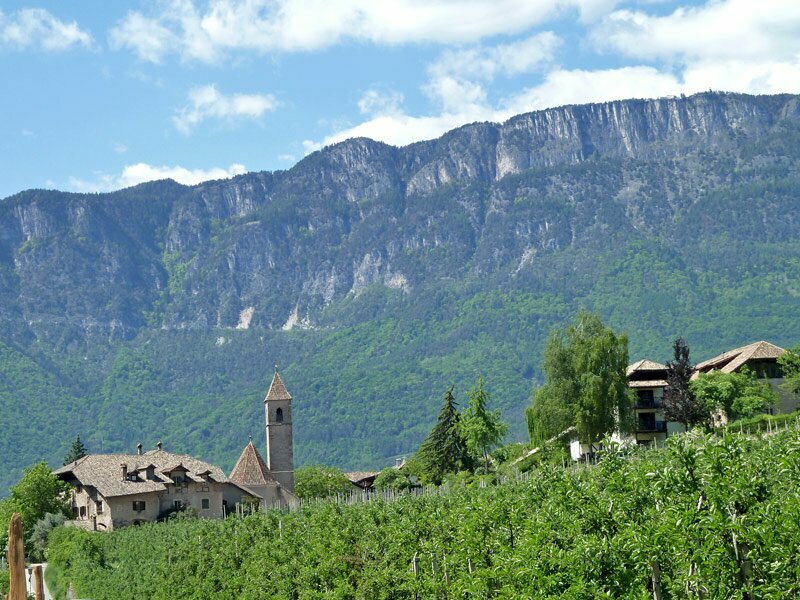 The forest of Monticolo is a particularly charming place and is considered a recreation area for the inhabitants of Bolzano. 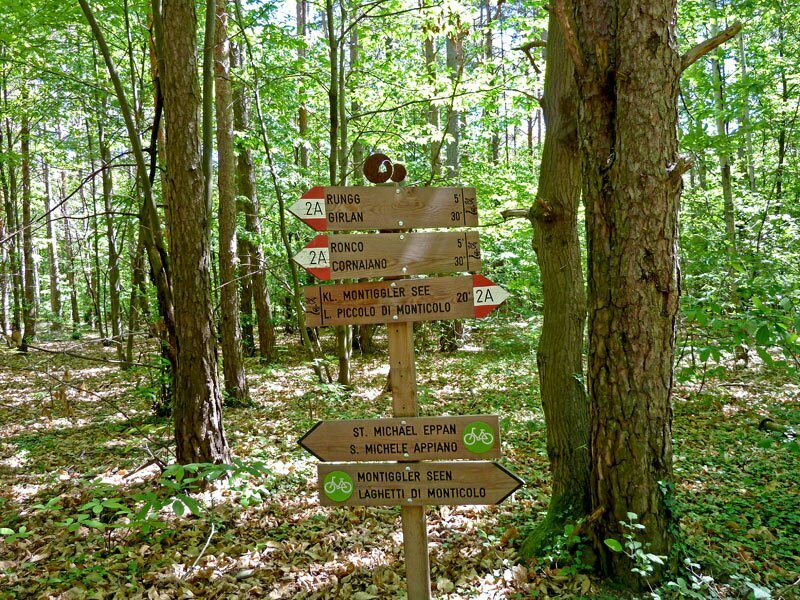 The mixed forest of Monticolo is a protected area that boasts two remarkable natural gems. 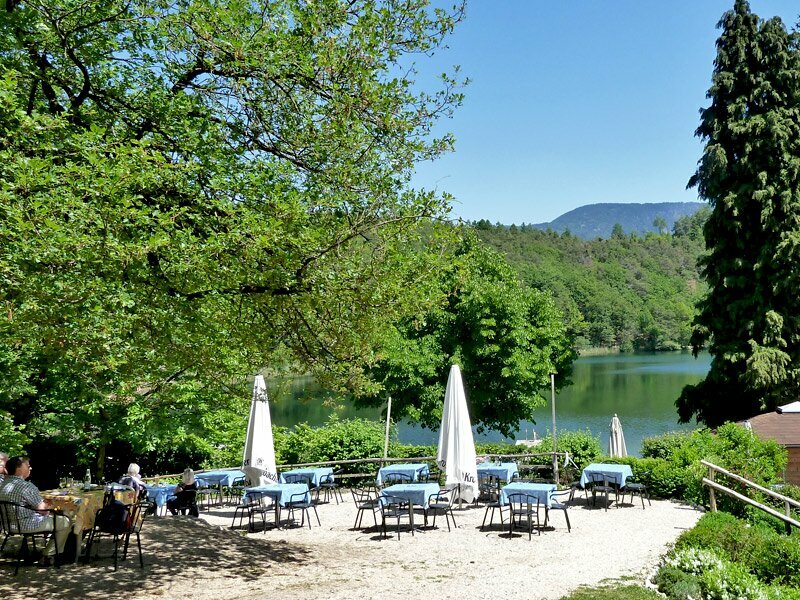 The large and the little Lake of Monticolo extend in the heart of this forests and provide the opportunity for a welcome refreshment in the charming recreation zone. However, the lido is the ideal place for those who prefer swimming in the pool rather than in the lake. 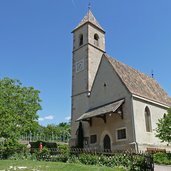 The parish church of Monticolo is consecrated to Epiphany and represents a neo-Gothic construction. 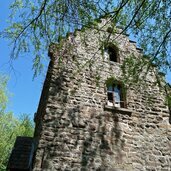 The roof of the tower dates back to 1518. 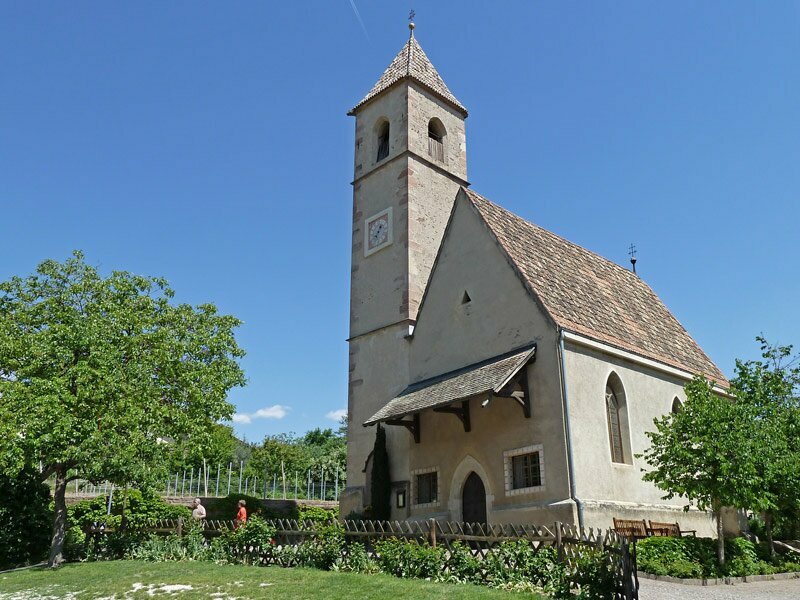 The bell was cast in 1505 and still sounds in order to invite people to the holy masses. In the interior of the church, there is a Baroque altar, adorned by construction elements of the Renaissance period. 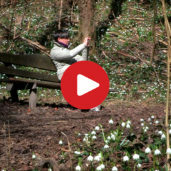 Monticolo is also the starting point for walks across the famous Valle della Primavera, the spring valley, in which flowers already flourish before spring conquers the landscape. On the other end of the valley, you can find the popular lake of Caldaro. 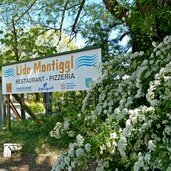 One of the events that makes the little village gain centre stage is called “Montiggler Weis(s)e”, a great combination of music and local wines and an ideal event for a warm summer evening, making you enjoy the mild temperatures at the end of a great day on holidays.